We Make Our Own Pop Tarts Sandwiches. : Wait Wait ... Don't Tell Me! This month, the Pop Tarts Cafe opened in New York. We asked them to send us some of their sandwiches, and they didn't. So we made our own. 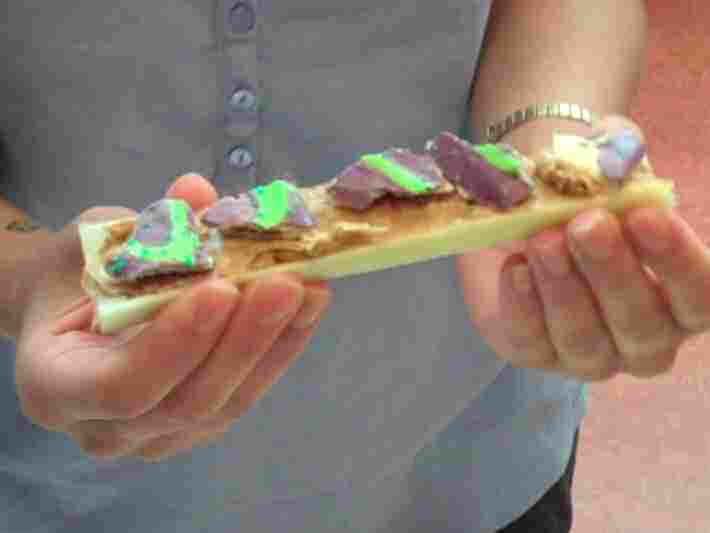 When we heard there was a Pop-Tarts restaurant opening in Times Square, we had questions. One: Why? Two: How do we get their horrifying dishes to us in Chicago? They told us their sandwiches wouldn't travel well through the mail, but they sent us some raw materials and we made our own, based on their recipes. Ian: Helpful tip for parents: this is great if you're having a hard time getting your kids to eat their Pop-Tarts. Mike: Somewhere Jerry Seinfeld’s wife just plagiarized another author’s grave to roll over in. 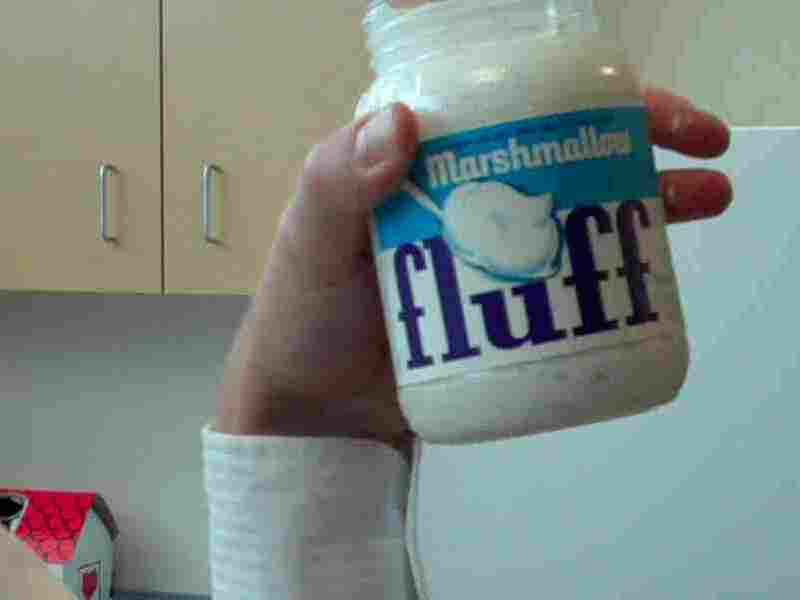 Mike: I'm really glad we're using the Marshmallow Fluff from the set of Mad Men. Eva: Really tasty. Like s'mores, without the graham cracker or camping. Ian: Man, Times Square must be even worse now, what with the hordes of six-year-olds flooding out of Pop-Tarts World with Sugar Rabies. Ian: It's weird we're using grape Pop-Tarts for the sushi when Eel Pop-Tarts are widely available, but whatever. Mike: I'm really excited to try this because I've only ever had Pop-Tarts Sashimi. Eva: Depending on how you feel about Pop-Tarts, this is either like a rainbow exploded in heaven or a rainbow exploded in hell. pop tarts not named "lindsay lohan"